large and heavy parts with unmatched accuracy. The gantry design with air bearings is moving the sensor-camera assembly while the sample is fixed on the granite platform. This setup is ideal for scanning large and heavy parts with unmatched accuracy. 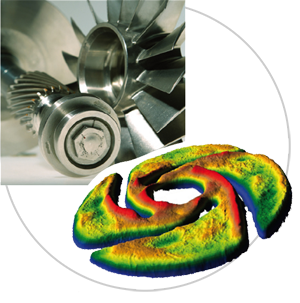 The system software SCAN SUITE combines SCAN CT for individual measurements and data analysis with the automation module ASCAN. Based on the latest programming technologies the system control, data collection and analysis are combined in an operator friendly user interface. The measurement system can handle large areas up to 600 mm x 600 mm. The combination of fully integrated software and hardware is designed to make it easy and fast to obtain accurate and repeatable results. The CT 600S is a non-contact profilometer with a 600 mm x-, y-motion system. The gantry design with air bearings is moving the sensor-camera assembly while the sample is fixed on the granite platform. This motion system allows to calibrate the system flatness independent of the sample weight. The CT 600S reaches a total accuracy of 0.3 microns over the entire travel of 600 mm. 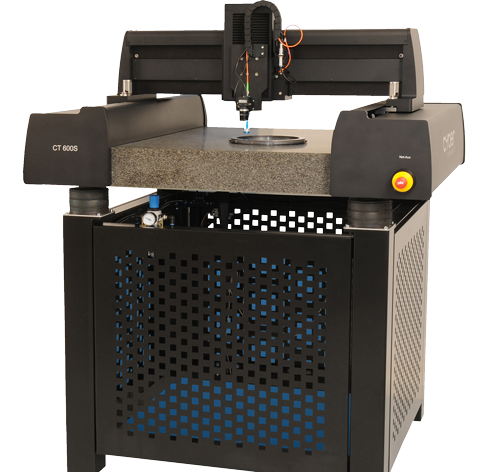 The CT 600S is ideal for measuring flatness on large samples, as well as step height, roughness and other 2D and 3D analysis. 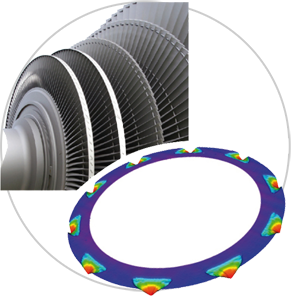 Circular and ellipsoidal scans minimize the inspection time on round parts. The sensors are mounted on an automated z-axis and are available with a resolution down to 3 nm and a measurement range up to 12 mm. We can help you finding the right measurement system for your application and budget needs.